Istria is rolling hills, medieval hilltop towns, historical coastal towns, rocky coast, breathtaking views, tasty food, excellent local wines, and olive groves. Many visitors compared it with Tuscany, and sometimes call it “Tuscany with colors”. The region is conveniently located, and within five hours drive from many European cities, like Munich, Vienna, Ljubljana, Milano, Budapest, etc. Location is one of the reasons why so many tourist flock to this Croatian region. Istria is bilingual and all the road signs and town names are in Croatian and Italian. Most people are fluent in both languages. Many also speak at least another foreign language; English and/ or German, being the most commonly spoken. Compared with other Croatian regions, Istria feels more cosmopolitan. No matter what place in Istria you choose as your home base, you'll be able to visit all top sights within an hour drive. Due to its shape, no matter where you are, other places are never more than 80 km away. Istria has very rich history, and lots of historical and natural sites, interesting events, and awesome cycling trails, but let's be frank here – majority of people visit Istria for its beaches, sun and sea. Yes, peeps, if you like an idea of yourself laying on a beach, a glass of cold (put your own drink) in hand, and dipping in the Adriatic whenever you feel, Istria is the place to go. If you enjoy good food based on fresh, homegrown, and seasonal ingredients, washed down with a premium local wines, Istria is a right place to visit. We'll talk more in-depth about food, wine and restaurants in Istria, because it's one of region's main strengths. Istria abounds in natural beauties, and lovely landscapes: from Ucka and Cicarija mountains, hills, meadows, forests, caves, caverns, and blue Adriatic Sea … all those natural sights are a reason enough to visit Istria. Istria is rich in history, and there are many historical sites worth visiting: Complex of Euphrasian Badilica in Porec, UNESCO world heritage site, Pula Colliseum, remains of Roman villas, many churches with amazing frescoes, well-preserved medieval towns, to name just few. Istrian tourism dates back to the times of Austria-Hungarian empire when first hotels, as we know them today, were built in coastal towns. All this intro to say that Istrians know what visitors want, what kind of activities they enjoy, and they are here to provide it (and make money along the way). There are so many things to do in Istria, that it will take ages to partake in all of them. Best time to visit Istria is June and September. The weather is still nice, sea is still warm, there are way less people around, and the prices are lower. Food here is amazing. Istria is the best region in Croatia when it comes to food and wine. Black and white truffles, cured meats, goat cheese, olive oil, home made pasta, steaks, … you name it, Istria has it. Istria also has the best choice of restaurants. Unlike the rest of Croatia, many restaurants in Istria are open year around (except in January when they close for yearly vacation). Many restaurants close on Tuesday (October to May). In Istria you can expect three kinds of restaurants: tavern-style restaurants serving traditional Istrian food like bean soup, homemade pasta, fuzi and pljukanci with various sauces, and steaks; fish restaurants serving lots of yummy and fresh sea food; and touristy restaurants serving just about anything (pizza, pasta, grilled meat and fish, risotto, … ). In a good Istrian restaurant you can expect to pay around 250 kn per person for a 3-course meal with drinks. Pastas and risottos are around 50 Kn a portion, steaks around 140 Kn, fish is usually charged per weight (300-400 kn per kilo). If you travel on budget, you can still eat cheap in Istria. Like in the rest of Croatia, you can find cheap snacks in bakeries. Lunch size savory and sweet pastries cost between 0,5 to 2€. Popular chain of bakeries you'll find everywhere in Istria (and Croatia) is Mlinar. Pizzas are good in Istria. Make sure to choose a pizzeria that bakes their pies in a wood-burning oven. You’ll get an excellent pizza for 6€. It's so big that you’ll hardly be able to finish it alone. Fine dining experience is expensive everywhere, but still in Istria you’ll find a great value for your money. For instance, a 7-course meal in the restaurant Marina in Novigrad will cost you 50€. Wine in restaurants can be really pricey if you order bottled wine. A bottle of premium local wine in a restaurant cost 150 Kn and more. However, all restaurants serve also a table wine, called also a house wine. In Istria, it's usually white wine Malvazija Istarska, or red wine Merlot. They cost 60 kn a liter, and they are really good. 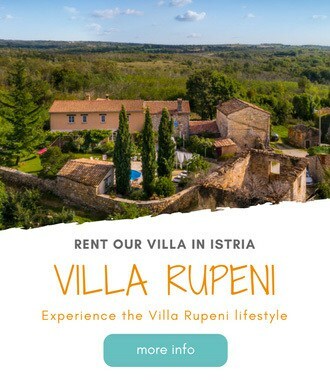 Istria Croatia offers a good choice of accommodation: from campsites, to 5-star luxury hotels. There is something for everybody's taste and budget. Prices vary according to the season, type of accommodation, location, and level of comfort. High season is in July and August when the prices are at the highest. You can expect to pay a 40 € per day for two persons and a pitch with electricity in a campsite; studio apartment rental for two will set you back 70 € a day, in a 2-star hotel for a double room with breakfast you'll pay 100 €, up to 500 € for a double room with breakfast in a 5-star hotel. However, if you travel off-season (until mid June and after mid September), you can really get a bargain on your accommodation. Accommodation is the most expensive in Rovinj, followed by Porec, while Novigrad, Vrsar, Rabac and Pula offer cheaper accommodation (for the same level of comfort). Transportation in Istria is a bit tricky. Intercity buses exist and they are not expensive. However they are not so frequent and they are slow. Train in Istria is almost nonexistent. Coastal towns, beside Pula, are not connected by the train at all. And Istria as a whole is not connected by train with the rest of Croatia. However, there are some trains scheduled to go from Pazin to Zagreb, but bear in mind that from Lupoglav train station to Rijeka there is no train, but bus connection. Don't use trains to get in and around Istria, because it is very inconvenient. Taxis are expensive in Istria and you should avoid using them. The best way to travel to and around Istria is by car. Many hotel companies also offer free transfers to and from the airports. Ask directly before booking. Although majority of visitors to Istria visit this region for sun and sea, beaches are not Istria's strongest point. The coast is rocky, but also beautiful, and well-preserved. You won't find lots of construction right at the coastline; you'll instead find lots of space for everybody. Thick pine forest, and sometimes olive trees, grow all the way to the sealine, creating lots of shadow. Within tourist resorts, like Zelena Laguna or Lanterna, in Porec, or Lone Bay in Rovinj, you'll find man-made pebble beaches. The best beaches in Istria are on the east coast of Istria, particularly in Rabac. Here rocky coast interchange with wonderful pebble beaches. Our favorite beaches in Istria are Brsec, and Ravni at the east coast; beaches at Premantura in the south, and Delfin beach in Porec. Istria is a wonderful region not only to visit but to live in. You can read my musings on things I love about living in Istria. Istria is rich in history and natural beauty. It's lush green a year around. It offers yummy food, great wines, dreamy hilltop towns, cycling trails. It feels very cosmopolitan, especially compared with the rest of Croatia. 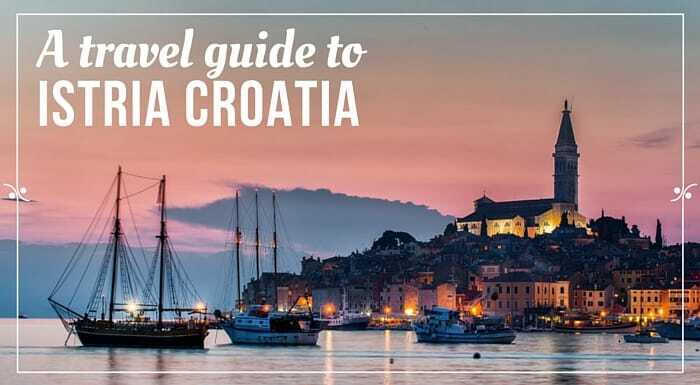 Top sights include: Amphitheater in Pula, Euphrasian Basilica in Porec, Rovinj' s Old Town, Brijuni National Park, and the hilltop towns of Motovun and Groznjan. More posts on things to do in Istria you can find below. Towns popular among tourists are Porec, Rovinj, Pula, Vrsar, Umag, Rabac and Motovun. Here, you will find lots of accommodation choices, activities, bars, restaurants and events catering to tourists. Umag is the town closest to Slovenian border and the first one to reach if you are coming from Italy. Its hinterland has a lot to offer to its visitors. The best restaurants serving comfort food are located in the vicinity of Umag. Umag itself is somehow less attractive than other coastal towns in Istria. Novigrad is a small fishing village half way between Umag and Porec. Novigrad is famous for its seafood restaurants. This small place features some of the best seafood restaurants in Istria. Porec is the most popular tourist hotspot in Istria. Porec basilica is listed as UNESCO's World Heritage Site. The old town is a showcase of Venetian architecture. Visitors can enjoy numerous bars and restaurants at seaside promenade. Vrsar is located between Porec and Rovinj. Its charming old town is perched on the hill overlooking the archipelago of 18 islets. Rovinj is the nicest of all towns in Istria. Located at the peninsula, its colorful houses are rising out of the sea. The old town is full of lively bars and art galleries. Pula is the biggest town in Istria. Although, Pula is industrial, it has some of the best beaches in Istria. The most popular attraction in Pula is roman amphitheater. Rabac is a small tourist resort on the east coast of Istria. Rabac has beautiful pebble beaches. Motovun is the most popular town in inland Istria. It is located on the hilltop overlooking Mirna river and valley.